It happened slowly at first. Thread by thread, the fabric of privilege and complacency enveloping the Wyndham family began to unravel. 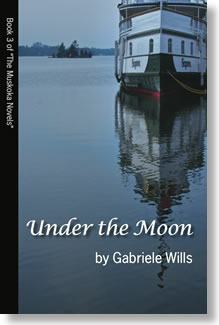 A carefree summer at their island house, disrupted by the arrival of long lost kin ended in tragedy, betrayal, and war. Now, in the compelling sequel to the acclaimed epic, The Summer Before the Storm, Ria and her friends find themselves at the mercy of forces beyond their control. It’s late summer, 1916. While some members of the Wyndham family revel in the last resplendent days of the season at their Muskoka cottage, others continue to be drawn inexorably into the “Great War”, going from a world of misty sunrises across a tranquil lake to deadly moonlight bombing raids, festering trenches, and visceral terror. For Ria, too many things have happened to hope that life would ever return to normal, that innocence could be regained. Caught in a vortex of turbulent events and emotions, she abandons the safety of the sidelines in Britain for the nightmare of France. Her fate as an ambulance driver remains entwined with those of her summer friends, all bound by a sense of duty. Living in the shadows of fear and danger awakens the urgency to grasp life, to live more immediately, more passionately amid the enormity of unprecedented death. Together, their lives weave a tale of liberation and loss, evolution and redemption. Those who survive this cataclysmic time are forever changed, like Canada itself. Impeccably researched, beautifully written, Elusive Dawn will resonate with the reader long after the final page has been turned. I’ve always been fascinated by the First World War era, but after the extensive research I’ve done, I’m even more enthralled and awed. It was a time of cataclysmic events and rapid change. Patriotic and idealistic young men went by the millions into the hell of trench warfare. Too many never returned, and those who did were forever changed. Young women escaped from stifling Victorian parlours to new freedom and opportunities, while losing brothers, husbands, or sweethearts. Rickety airplanes that could barely stay aloft were, within four years, transformed into swift and deadly fighting machines. Dealing with the unprecedented carnage on the battlefields, medicine had to devise new ways to save men as well as rehabilitate them. And as if youth hadn’t sacrificed and suffered enough, the virulent Spanish Influenza, contrary to form, killed a disproportionate number of people in their 20s and 30s. I hope that I managed to convey this in Elusive Dawn. Those of all nations who lived through this era, as well as those who died, deserve to be remembered and honoured. Not many generations are so tested and cursed. If you ever have the opportunity to visit northern France or Belgium, I would recommend that you stop at one of the many WWI cemeteries and take a few moments to read the names and ages of those who “poured out the red sweet wine of youth”, as Rupert Brooke so aptly said before himself becoming a victim of the "war to end all wars". by Gisela Kretzschmar, "Focus on Books"
"Monty had cleverly crafted the story to depict not only a generation, but also a society blighted by the war." This quote from Summer Before the Storm does very well apply to Elusive Dawn. Both Muskoka Novels take readers on a journey through heaven and hell and anything in between, chasing them across a rollercoaster of actions and emotions. At the same time they are providing lots of information about WWI and deep insights in the attitude towards life during those times. They are historical fiction at its best. 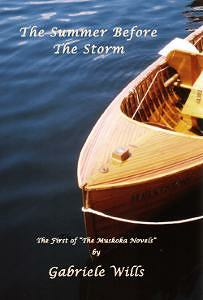 A sequel to Gabriele Wills' The Summer Before the Storm, Elusive Dawn is billed as Book 2 of The Muskoka Novels. Picking up where the first book left off, the now familiar cast of characters are in the midst of the First World War, with only their memories of happier times together each summer in Muskoka to keep them going. 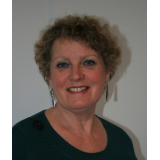 Wills prides herself with her historical accuracy and realistic depiction of the era in which her novels are set, and once again she does not disappoint. In Elusive Dawn, the reader is left with a sense of what life must have been like for the thousands of Canadians who had little choice but to take part in a war that tore loved ones apart and ripped both men and women from their homeland. Bound by summers in Muskoka, the cast of friends and relations in The Muskoka Novels endure life and death, love and hope, throughout the war years. As both Elusive Dawn and the war draw to a close, the reader is left with the promise that the Wyndham family legacy will continue as the weary comrades return "home" to Muskoka for Book 3 of The Muskoka Novels.Good Read: Muskoka Novels sequel Elusive Dawn fulfills expectations .The continuing fictional saga opens a window on the life and times of Muskoka's elite in the 1900s. A year went by before Elusive Dawn, the second book in the Muskoka Novels, was published. Set in Muskoka, the U.S, Britain and France, the story continues to follow the lives, loves and fortunes of a generation challenged by the Great War. Wills weaves a compelling tale, intertwining meticulously researched fact with fiction. Many of the characters' experiences are loosely based upon those of real people and actual incidents. Adventures with Canadian ace pilot Billy Bishop, and Max Aitken (later to become Lord Beaverbrook), the Halifax explosion and the Great Influenza Pandemic of 1918, for example, all serve to provide historical insight to the horrors of the 'war to end all wars'. Elusive Dawn certainly met my expectations, and once again I anxiously await the next installment.